OK, so you've read all my posts and STILL think you want to be an Animal Control Officer? Even Help Wanted! and I Am Not The Dreaded Dog Catcher? And the one about ugly things people say when you're writing tickets? Really?! Well, if I haven't dissuaded you then I guess you're ready for an interview. About six years back -- when I lost Partner #1 -- the Lieutenant asked me to come up with a list of questions for Animal Control applicants. Even more exciting, she asked me to sit on the interview panel. (BTW, you learn a lot sitting on the other side of the table!) Anyway, I got together a group of ACO friends and wrote down all the weird questions we had been asked (or should have been asked) when we started out. Then we narrowed it down to 20 questions. This is what we came up with -- along with the answers we're looking for. Wanna see how you'd do? 1. Why do you want to be an Animal Control Officer? This is always the first question. Whatever you do, do not answer "I want to be a voice for the animals." (I swear 50% of the applicants actually say that!) Truth is, Animal Control works for the people. So if you care more for the animals than for people -- (it's OK, we all do) -- don't say it! Instead, think about how you would serve the people of the community in relation to animals. 2. What do you think the responsibilities of an Animal Control Officer are? Short answer: Animal Control Officers enforce animal related ordinances. Yes, we get the occasional cruelty and neglect case. Most of the job, however, is routine and sometimes tedious. We patrol, write tickets for dogs off leash and poop that's not picked up, catch dogs running at large, trap feral cats, and try to make peace between neighbors over barking. We clean the truck. We clean the kennels. And we do paperwork. Lots and lots of paperwork. 3. What do you know about local and state animal-related ordinances or laws? All ordinances are online, so you better have an answer for this one. When someone says "Well, I haven't read them . . . but I'm a quick learner." What we hear is "I don't care enough about this job to even look up the rules." Chances are your application just went to the bottom of the pile. 4. 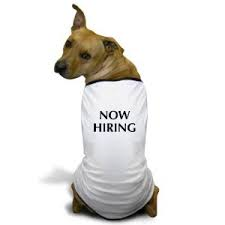 What type of animals do you have experience with through employment or personal knowledge? This one should be easy. If it's not, maybe you're not looking for the right job. Every ACO I know has had dogs, cats, rodents, reptiles, fish and more. 5. Are you able to identify different breeds and types of animals? Which animals are you most familiar with? See above. Seriously, most ACOs know so much weird animal trivia that it makes NON-animal people uncomfortable. Sure everybody knows that calico cats are almost always female, but ACOs will engage in a long conversation as to why. 6. Do you own any pets? If so what kind? Are they licensed, vaccinated, and spayed/neutered? 7. Are there any animals that you are afraid of or cannot work with? A yes to this is not necessarily a bad thing. For example, I'm not fond of snakes. Since my job deals primarily with dogs and cats, that's not a big deal. However, if you said you were afraid of pit bulls that would be an issue since two out of every three dogs we pick up is a pit bull. I've also seen a variation of this question where they asked if you are allergic to any animals, so be prepared. My answer was "I have a mild allergy to most rabbits and some cats. Knowing this, I carry Benadryl in my purse." 8. Have you ever been bitten? Describe the incident and how would you handle a similar thing again. OK, this one is just because we're weird. We all have bite stories and they're fun to share. You get extra points for scars. It also gives an insight into how careful and perceptive you are. It's perfectly okay to say you were inexperienced or did something stupid and you won't do that again! 9. What is your definition of euthanasia? Have you had any experience with euthanasia procedures? This question usually takes people by surprise. It also tells us a lot about who's on the other side of the table. I've seen people break down and cry at the mere thought of euthanasia. (BTW, they didn't get the job.) Nobody likes euthanasia, but for now it's part of the job. Even no kill shelters have to euthanize sometimes. 10. Could you euthanize a sick pet? An injured pet? A healthy pet? This is a tough one and takes quite a bit of soul searching. I was asked this the first time I applied at a shelter. I was honest and told the interviewer that I wasn't sure how I felt about it, but I hoped that when the time came I would do it as quickly and compassionately as possible. I got the job. 11. If you were approached by a vicious dog how would you handle the situation? There's no real right answer to this question, but there are definite wrong ones! Just remember: safety first, for both you and any possible bystanders. 12. How would you get a 100 pound dog into a vehicle? Another question with no one right answer. This is a creative problem solving question. Remember your tools, including the radio. Funny story: I once had a 150 pound Great Dane that wouldn't fit in the cages on my truck. I called the station for back up and the dog was transported to the kennel in a police car. 13. What experience do you have working with the public? As I've mentioned before, I deal with five people for every one animal, so this question is very important. Be detailed, especially if you were in a position of authority. 14. How would you deal with a difficult person? See above. FYI: "By hitting them with my truck" is not the right answer. This is a major stress in my life. Thankfully, I didn't get asked this question. I don't think they would have appreciated my answer: brownies, booze and profanity. Seriously though, this can be stressful job and it's important to have positive ways to decompress. I enjoy hiking with my dog, reading/writing/blogging and grown-up game nights with my friends. 16. Can you work weekends, holidays, early mornings (6-7 AM) and late evenings (8-9 PM)? Are you available to be on call? If you can't say yes -- and mean it -- then this is probably not the right job for you. Animals in the kennel need to be walked, fed and cleaned up after every day, even on Christmas. The public is not kind enough to only break ordinances during normal working hours. And dog bites always seem to happen just as you sit down to dinner. 17. Do you have experience in radio communications? If so, how much experience and where? This is self explanatory. It's okay to say no. In fact, sometimes it's easier to teach someone fresh than to have someone un-learn old codes to learn new ones. (Different jurisdictions use different 10-codes.) Partner #3 had a really hard time with this and kept coding for lunch when she meant to say she had arrived on-scene. 18. Are you/have you ever been FACA (Florida Animal Control Association) or NACA (National Animal Control Association) certified? A yes to this one would be a big deal for you. Certification/recertification is expensive and time consuming. Hiring a pre-certified ACO saves the City time and money -- and the City is all about saving money. If you have these types of certs, do everything you can to keep them current. And by all means, speak up if you've got them! 19. Have you received the rabies pre-exposure vaccine? If so, when was the last time you had your titers checked? Same as above. A rabies pre-exposure shot for humans can cost $600 or more. (Yet I can find one for my dog for $10. Go figure.) The good news is that your immunity can last for decades. Whether or not you're safe can be determined by simple -- and not nearly as expensive -- titers test. So again, speak up. 20. What experience do you have that qualifies you over other candidates for this position? This is no time to be shy or modest. We're asking because we really, really want to know. It's not always easy choosing one person over another. Not only are we trying to see if your qualifications fit our needs, we're also trying to determine if you -- as a person -- will fit into our organization's culture. Are you too rigid? Too aloof? Do you have a sense of humor? What are your personal ethics? Seriously, it's tough!